As we all know, Amazon is a very competitive marketplace now and to keep up with the competition you always need to work on the rankings of your listings. This may not be easy for the new sellers and they need a lot to learn before starting to work on the rankings. There are multiple factors counted for the Amazon keyword ranking which we’ll discuss later in detail. As a new seller you need to start from the basics of keywords research in order to find those Amazon search terms which are highly profitable. And, it doesn’t end it all here with finding the top keywords for your listing but you also have to track Amazon keyword ranking to know for which keywords you need to optimize listing. 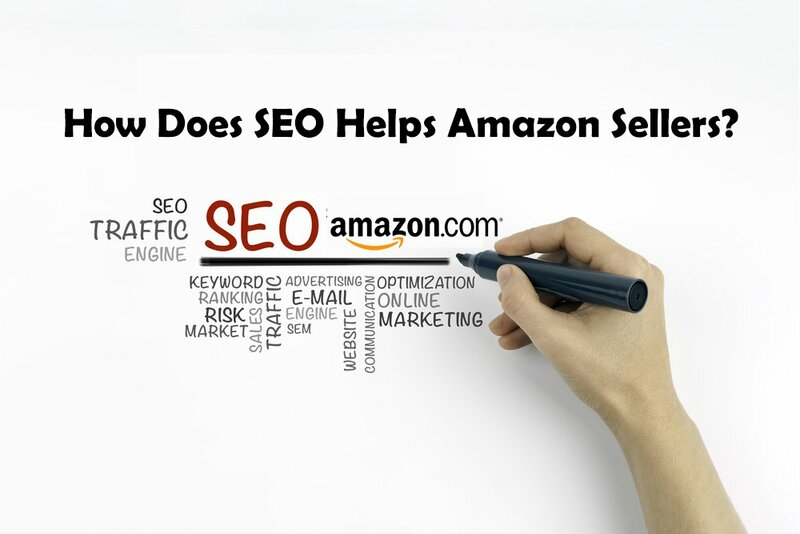 Let’s dig into the details of what exactly you need to know to improve Amazon search rankings. Understanding Basics of Amazon Keyword Research? I’m going to assume that you know nothing about keyword research. That’s totally okay. I’ll spell it out for you. Keywords research means identifying the actual queries and search terms that people enter into search engines to find products according to their need. It’s necessary for Amazon sellers to find the related keywords within a specific marketplace to improve the ranks of their products in order to get more sales. There are several research tools available online for keywords identification, not to mention Google Keywords Planner and the Amazon itself offers search suggestions that can be used to further expand keywords research. AMZ Insight, keyword rankings tool is also a great option to find the best keywords for your listing in most easy and time saving manner. Another great benefit of this tool is that it not only gives you most suitable keywords but also track Amazon ranking for your product which is a huge time saver. To find the best keywords for your products you can use our Keywords suggestion tool in the AMZ Insight. We have designed it very simply to keep it easy to use for the beginners. All you have to do is enter a seed keywords into the tool to generate top Amazon search terms. Now, you will get all the relevant keywords that our tool actually collects from the Amazon search suggestions with good search volume. You can easily shortlist your keywords and add to the desired product that you have already added to the system for tracking. If you have just started selling on Amazon, it is recommended to improve ranking on long tail keywords first as it is easy to achieve top position on those with more relevancy but low search volume. How to Set Amazon Keywords Tracking? After having the keywords suggestions on hand, next step is to start the rank tracking which again we have made simple for the newbies. Right from the suggestions you can add keywords to your product and the tracking will start automatically, yes its that easy! Our Amazon keyword tool will continuously track your keywords and show you exactly where your products are ranking on those keywords in Amazon search results. Achieving rankings on amazon is not a big deal rather improving them to climb up the ladder. By carefully adding most searched keywords to the product title and description you can significantly improve the chances of ranking high on those keywords. Place most important keywords in the title and then others in the bullets field. Now place less important and long tail keywords in the description area without breaking the natural reading flow, and last but not least put all the remaining keywords in the backend search terms field. Here, one thing is very important to keep in mind that repetition of keywords will not do any good for your Amazon SEO, because it is also mentioned in Amazon’s guidelines not to repeat the keywords in your listing. Furthermore, it all doesn’t end here that you optimize your listing with the top keywords and ranking will improve, there’s lot more to do to improve ranking. Amazon’s ranking algorithm considers quite a few factors for the overall ranking of a listing. These ranking factors are described below for your understanding. Sales rank is considered one of the most important factors in the listing ranking. There’s very simple principle, higher the rank more the sales and vice versa. 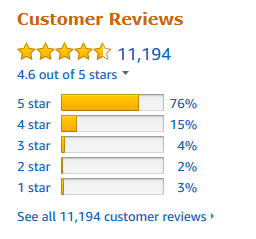 Number of reviews a product have play a vital role in ranking calculation and conversion. Answers to the buyer’s questions are always good for the conversion of the visitors. Price is very important for both winning the buy box as well as the conversion rate. Using high quality images according to the Amazon’s guidelines will help a lot to improve the rankings. Use images of minimum 1000 x 1000 pixels to enable the zoom function and product should cover at least 80% of the image. Parent-child variations help you make sales from one page and collect reviews on the same page for all the variations thus help improve the rankings and conversion. Product listing should be complete by filling up all fields from the backend, this gives a positive impact on listing. Average time spent on the listing by the visitors is also counted towards the Amazon keyword ranking. Only a complete listing will help you improve this factor. A good length of product title and well-optimized with the top keywords will improve ranking and conversion. Just keep it under 200 characters, meaningful and human readable as well. Bullet points are only second to the title of the listing. Describe features and benefits of the product by using your best keywords to boost your conversion and rankings. Product description is also important to describe the product in detail, explain the functionality by using remaining keywords. It also helps in improving average time spent on the listing which is also important ranking factor as mentioned above. In the specification area, list down all the technical and physical details such as dimensions, weight etc. Complete this to show your seriousness about the listing. Be careful while selecting the main level and sub level categories to place the product. You may also use brand name in the title field in order to make it easier for your customers to search your listing. Customer reviews about the seller or seller feedback is very important factor that helps you climb up in search results and to win the buy box as well. Order defect rate (ODR) is crucial for winning the buy box and you always want to keep it under 4%. An order is defected when customer makes a claim against the order, it can include anything like shipment issues, chargebacks, issue in product and the negative feedback. If you get the issue resolved and customer remove the negative feedback then this won’t hurt your ODR and ranking. Amazon always encourages maintaining the minimum inventory level. Low inventory levels can significantly drop your rankings because you don’t have enough items to ship. Ranking algorithm consider the inventory level to minimize pre-fulfilment cancellations. When shipping perfect orders, you’ll get better rankings than those who have lower percentage of perfect order shipments. Fast, free and accurate shipping will definitely give you advantage in Amazon keyword ranking. Share your experience with us in the comment section below about the improvement in Amazon keyword ranking when you worked on the above ranking factors.